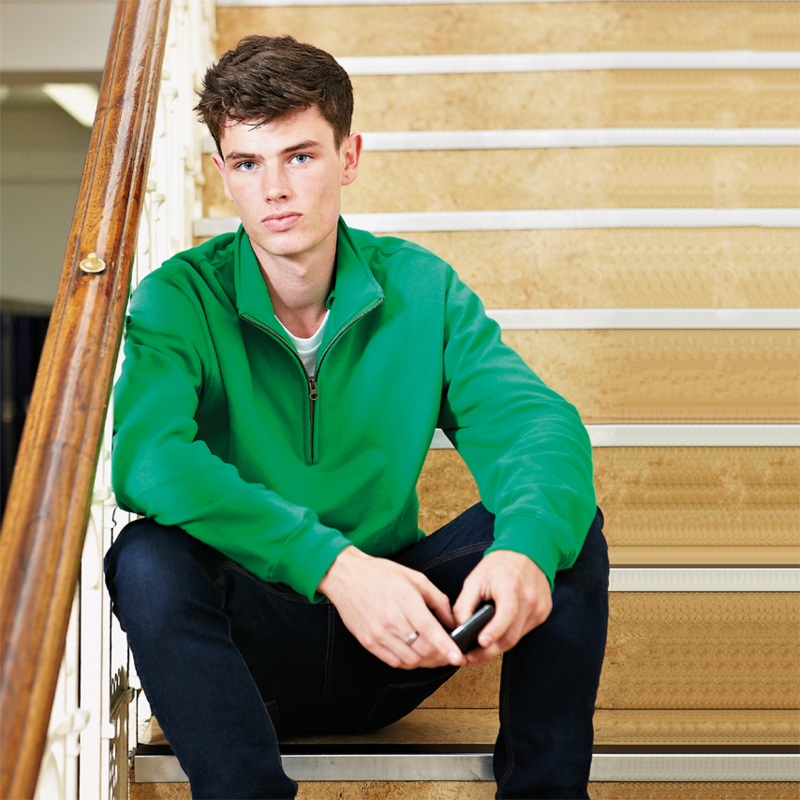 This unisex 1/4 zip sweat features a 1/4 zip neck with metal YKK zip and puller. Features ribbed cuffs and hem. Ideal for embroidery and printing.